De Blasio’s Plan for NYC Schools Isn’t Anti-Asian. It’s Anti-Racist. 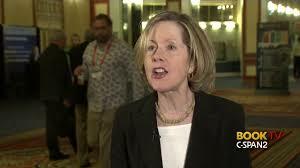 If you believe that the criminal justice system is racially biased, you need to know Heather Mac Donald. She’ll mess with your mind and make you either up your politico-cultural game or admit you were wrong. What worries me is that so few on ‘our’ side can, or bother to, go toe to toe with her. Just about every one of her pieces is a statistical and analytical tour-de-force, while we liberals tend too often to mouth liberal pieties like inside jokes. Just yesterday, I was listening to Angela Davis address the Commonwealth Club (sorry. speech not posted) on my car radio. I agreed with nearly everything she said, but they were dissatisfying lefty bromides, one and all. Racist criminal justice system. Slavery was bad. War in Iraq. The crowd whooped and hollered, but where was the beef, the analysis, the facts? Forgive me Angela, patron saint of the streets, but Mac Donald would have had you for lunch. Author of 'The Diversity Delusion' pens book out of 'sorrow and rage' over the indoctrination on college campuses.